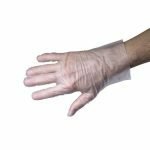 OmniSafe AMS #342P Series Anti-Microbial Multi-Purpose Vinyl Gloves are designed for retail, food service, housekeeping, general purpose, industrial, or any non-medical use. 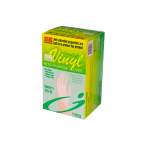 The OmniSafe AMS #342P Series Anti-Microbial Multi-Purpose Vinyl Gloves utilize built-in EPA Registered Anti-Microbial agents to protect the glove. 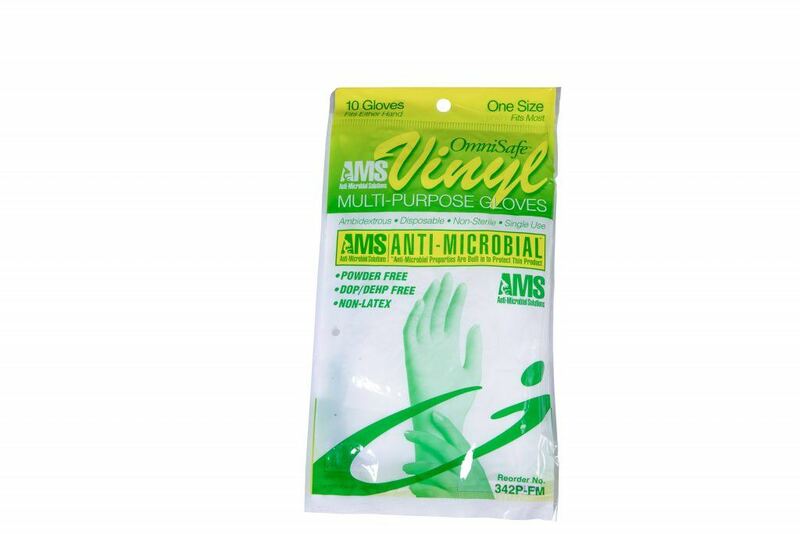 AMS Gloves are made from the highest quality polyvinyl chloride and plasticizers available. California Proposition 65 Compliant. 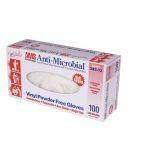 Available Powder Free. 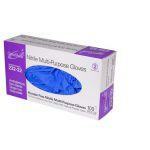 Packaged 10 per bag, 48 bags per case.